Fall is here, and you know what that means. Stadiums are now packed with football fans wearing jerseys of their favorite players. Friendly bets are being placed, and players are trying their best to win the hearts of fans. The football season is here once again! What’s a football game without the good old tradition of tailgating? Like football players, we also need warming up. In our case, it’s a small party filled with grilled foods, chilled beverages, and wholesome fun with friends and family. While tailgating has become a huge part of the pre-game ritual, we should not dismiss the dangers that go along with it. You wouldn’t want to cheer for your favorite team with an upset stomach, would you? Never ever grill inside or beside your car. With so many vehicles nearby, see to it that your grill is set up at least six feet away from the nearest car. Be sure that all parts of your grill are firmly placed. 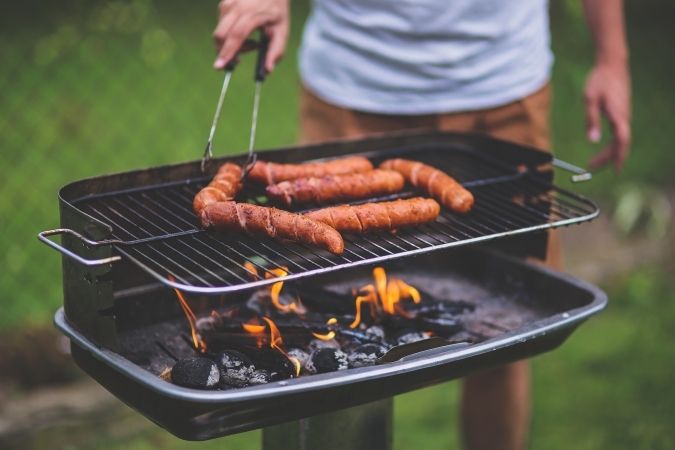 If you’re using a gas grill, make sure that you place the tank in an upright position. Fasten the hoses tightly before you light it. In case the flames run out, just turn off the gas, open your grill, and let it ventilate for 15 minutes. As there will be kids and intoxicated people going around, never leave your grill unattended. Also, don’t forget to bring a fire extinguisher along with you. Lastly, check if the coals or gas are already out before heading your way to the game. Store your foods and drinks in a cooler. Place unpreserved foods in an insulated cooler along with the drinks. Make sure that there’s plenty of ice to maintain a safe temperature. Bringing raw meat along with you? Seal them tightly to avoid cross-contamination and food poisoning. Better yet, have a food thermometer to check if your meat is fully cooked and ready to eat. Since you’ll be spending plenty of time under the heat of the sun, you might get dehydrated. Be sure to bring plenty of bottled drinking water, especially if you’re also drinking alcoholic beverages. Wearing sunscreen can also be of help. Be careful with your valuables. Big events can draw pickpockets. Be sure to keep your valuables secure. Don’t flaunt your gadgets once you’re in a crowd. Drive slowly and carefully when you enter and exit the parking lot. Expect the parking area in the stadium to be swamped with people and vehicles. Be extra careful when driving around looking for an empty space. In situations like this, you’ll need to double your patience. Be mindful of where you throw your trash. Before throwing your paper plate or plastic cup, make sure you’re using the right bin, and not the one with hot coals. If you feel that you might get drunk after the game, assign someone (preferably one who doesn’t drink) to drive you and your friends home. Even as we have great fun in tailgating parties, let’s not forget that there are veterans in our community who could not afford to enjoy the season because of the burdens they carry, including poverty, disabilities, joblessness, poor health, and even homelessness. These former servicemen and women suffered and risked their lives to defend our freedoms and protect our nation’s security. They’re deemed our nation’s living heroes. Sadly though, they have been largely forgotten. You can show them your heartfelt gratitude for their services to the nation by donating a car to us at Veteran Car Donations for their benefit. We will sell your donated vehicle at auction and use the generated funds to provide our struggling veterans with physical and mental health care, housing, job training, scholarships, transitioning assistance, and many more essential services. 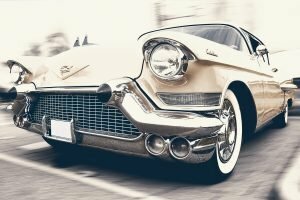 To know more about Veteran Car Donations, take a look at our About Us page. For details on our quick and convenient donation process, the tax deductions and other rewards you’ll for your charitable contribution, the types of vehicles you can donate, and other related matters, check out our FAQs page. You can also contact us online or through our toll-free 24/7 hotline 877-594-5822 if you have questions. Make this fall season a most memorable and meaningful one by doing something great that will immensely benefit the veterans living in your community. Call us at 877-594-5822 and make your car donation now!